“Smile of the Week” is sponsored by Upperman Family Dental. This week’s chosen smile belongs to Brooke. 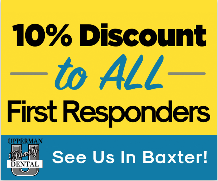 Upperman Family Dental is located at 111 Upperman Lane Baxter, Tennessee.